The PT-DW830WU Panasonic twin-pack projector lamp replacements comes with genuine original 420 watt Osram brand P-VIP bulbs inside rated at 8,500 lumens (brightness equal to the original Panasonic lamp). The PT-DW830WU Twin-Pack has a rated lamp life of 3,000 hours (4,000 hours in eco-mode). This Twin-Pack has higher lumen output and longer lamp life than other cheaper generic replacement lamps being sold elsewhere. It also has a Lamp Run-Time Module that is calibrated and tested during Pureland Supply's quality control process. It is guaranteed to operate the same as the original and will count your run time correctly to ensure proper function of your projector. 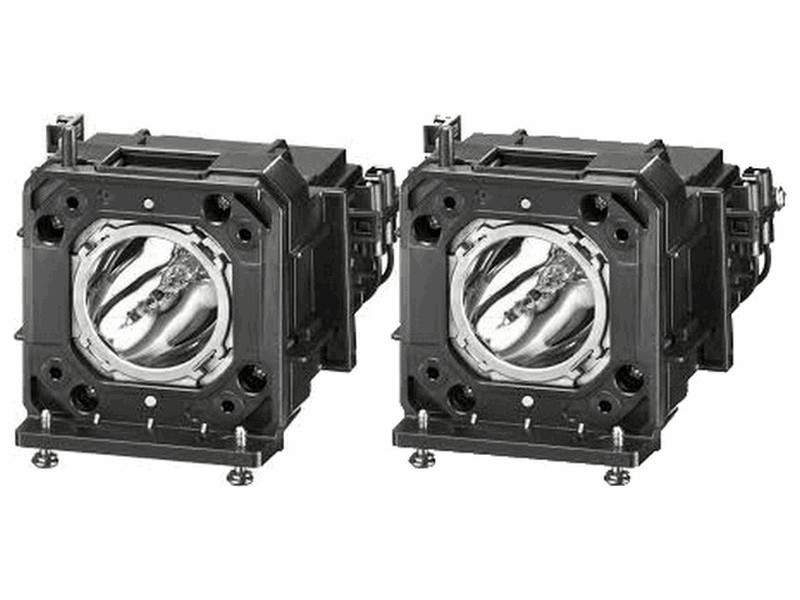 PT-DW830WU Panasonic Twin-Pack Projector Lamp Replacement (contains two lamps). Projector Lamp Assembly with High Quality Genuine Original Osram P-VIP Bulb Inside. Twin Pack contains 2 Lamps. This Panasonic twin-pack works much better than the last one we purchased from another company. Our timer reset properly and the lamps appear to be brighter too. Excellent service and quality and we would recommend Pureland Supply to anyone in need of a lamp. Lamps were in stock and arrived on time. Installed in minutes with no problems. Operating just like the original lamps.